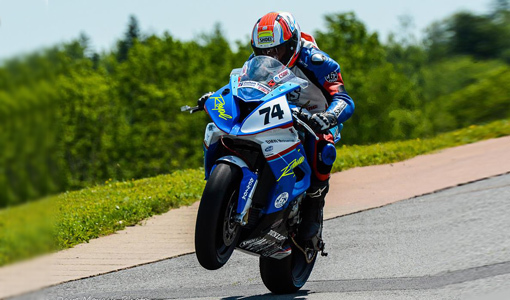 Michael Leon will continue the long standing, Championship winning, relationship with Elka Suspension and Canadian Suspension Specialist John Sharrard of Accelerated Technologies. 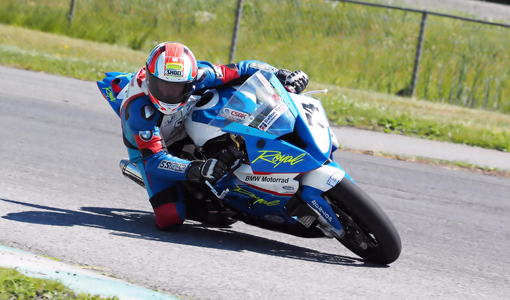 The team will once again use Elka rear shocks and receive much needed support from Accelerated Technologies for the development of a chassis setup that will work on the often challenging Canadian tracks. 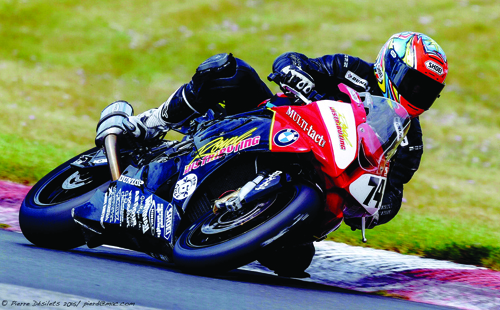 For the front forks, the team has chosen a closed cartridge kit supplied by Andreani of Italy, a company that is well known in World Superbike and World Supersport circles. 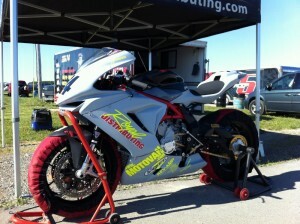 Michael had a chance to test the new F3 at Rd1 of the SOAR Regional Series. 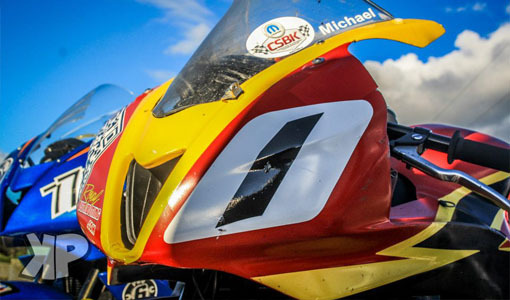 With a 4th place and two 6th place finishes, the results were not as good as hoped but the team left the event with a definite direction to improve the setup of F3. 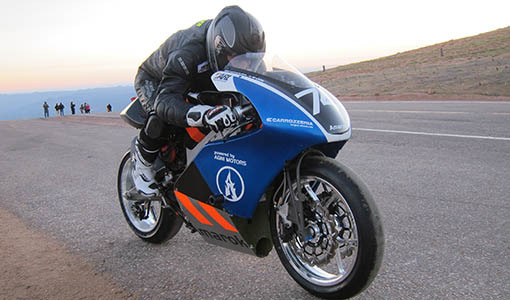 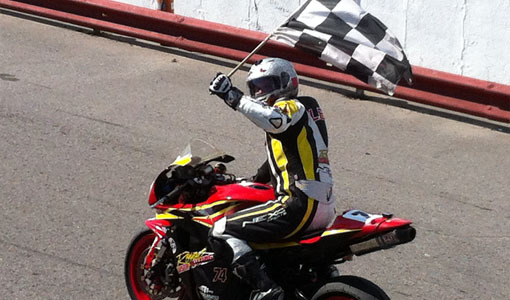 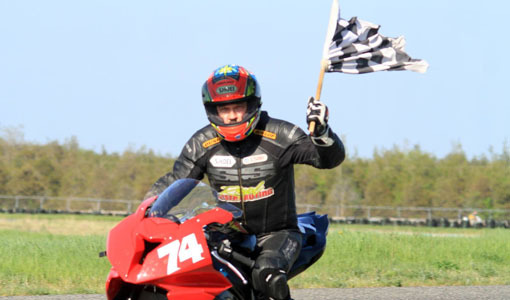 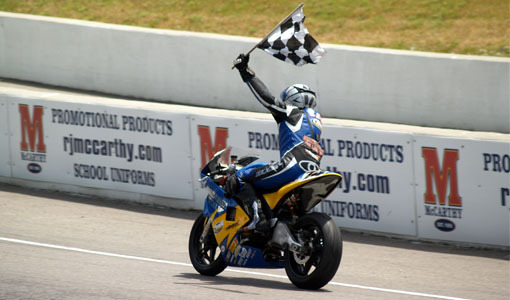 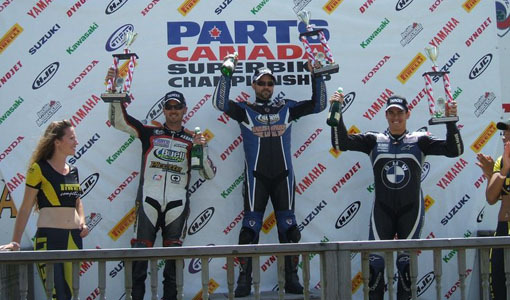 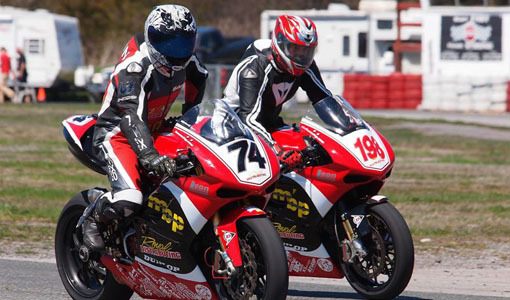 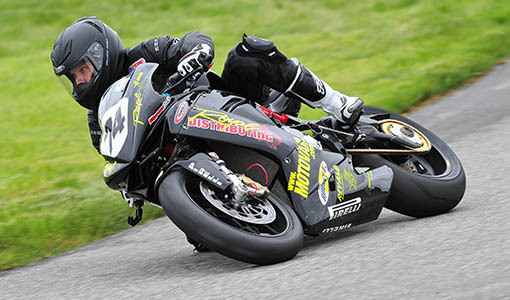 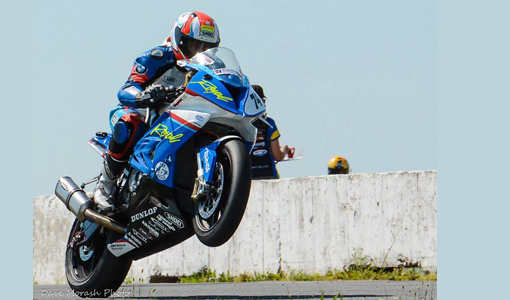 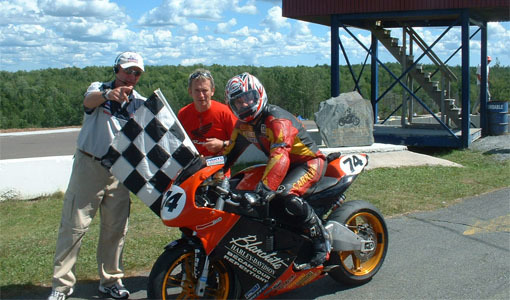 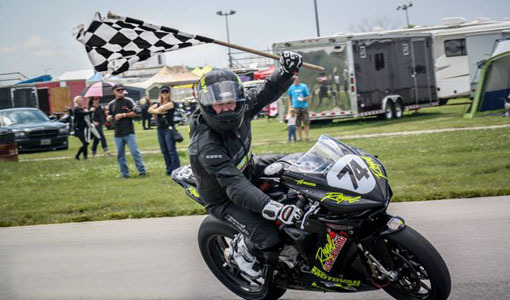 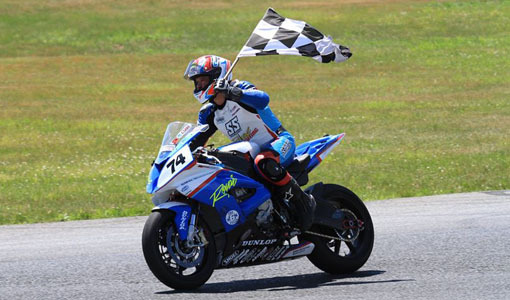 The next event for the team will be the first round of the 2013 Canadian Superbike Championship, to be held at Shannonville on June 9. 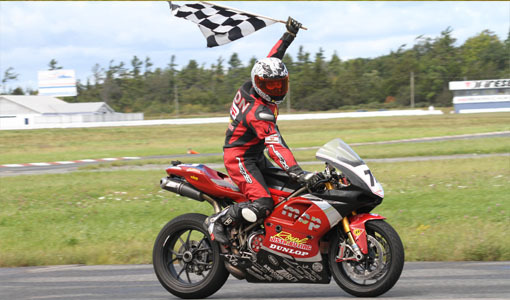 End release. 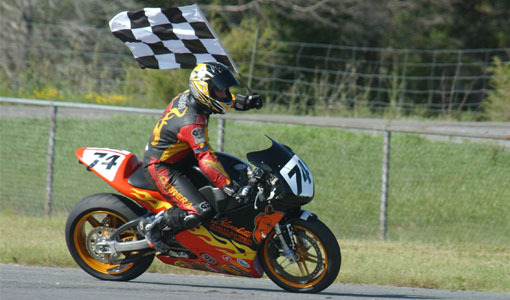 Return to News Page. 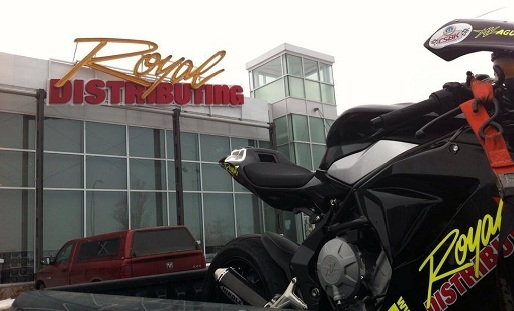 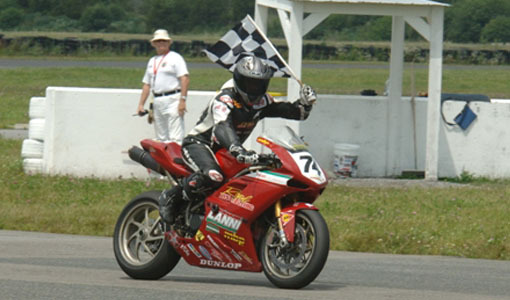 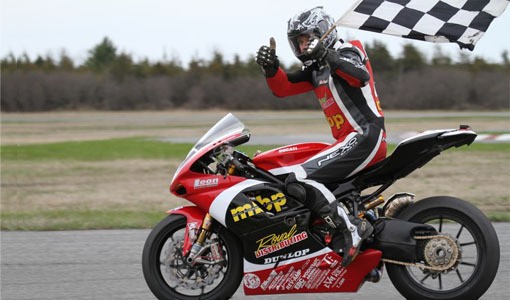 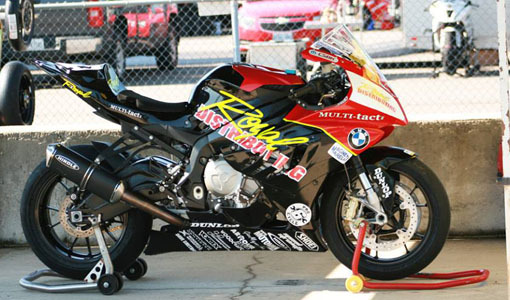 NEWS: Royal Distributing will race the MV Agusta F3 675 Triple in Canada!